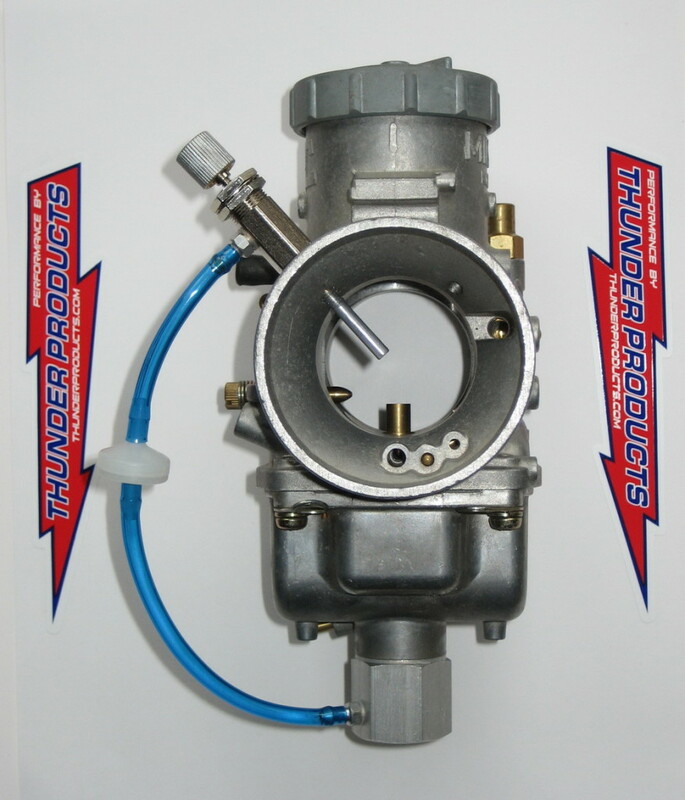 The Thunder PowerJet fits any size or brand carburetor. It is exactly what you need to achieve maximum performance with your engine. The TPJ improves performance by precise fuel metering with needle valve adjustment. Fuel distribution is improved by adding fuel through two sources instead of just one. This means more horsepower at any temperature or altitude. The TPJ gives you a range of over 10 to 12 jet sizes with precision external adjustment. Available in single, twin, or triple cylinder kits. Thunder PowerJet works great on stock or modified motors, two cycle or four cycle engines. TPJ can be used on Turbo, Blower or Nitrous equipped engines. 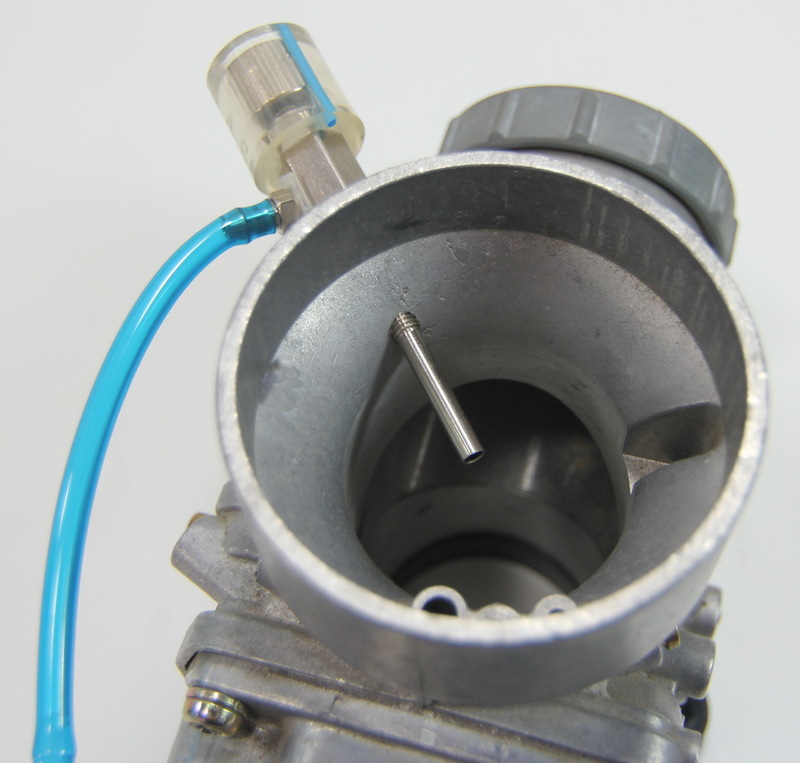 A one way check valve is included which holds fuel close to the TPJ for extra quick throttle response. 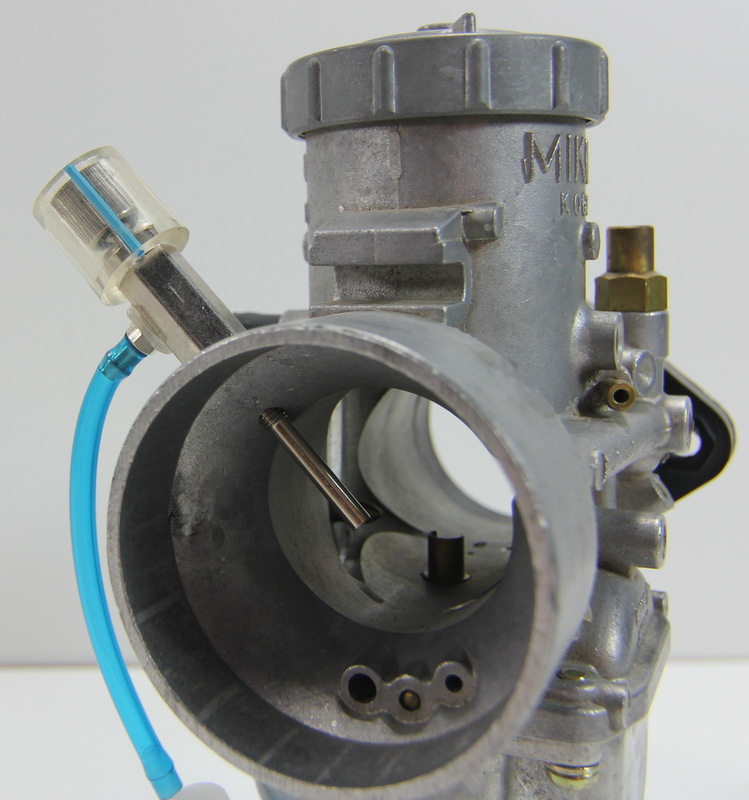 The one way valve also protects against blow back from the engine to the carburetor. 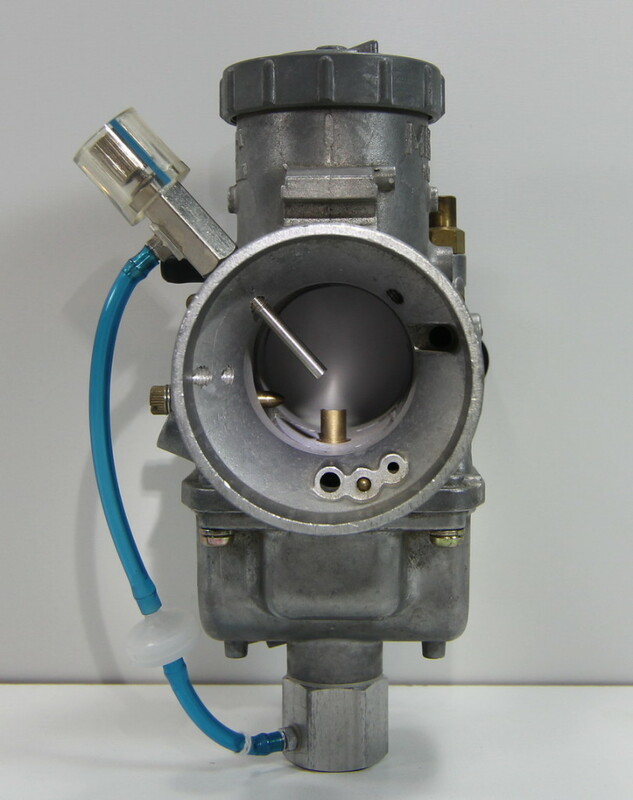 The TPJ can be used with fuel injection by adding a remote float bowl. The TPJ body is nickel plated to resist corrosion and keep it looking sharp. The viton seals are compatible with all fuels including race gas and alcohol. A large knurled knob with an index pointer makes adjustment easy. 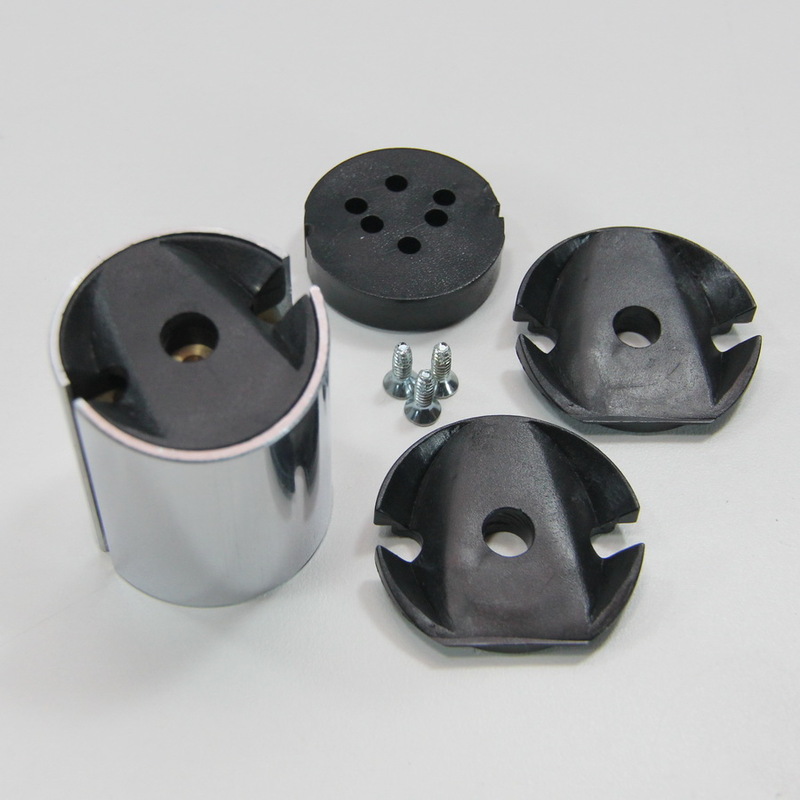 Each kit comes with complete instructions and necessary mounting hardware. Installation is easy and tech support is available. Power Jets have been around for a long time and are a great addition to any carburetor. Mikuni recognized the benefit of power jets many years ago and still offers their version today. With Mikuni’s version of the power jet, you must unscrew the top of the power jet, reach inside with a screwdriver and start the process of changing jets until you find the correct combination. Here is where the Thunder PowerJet is different. We wanted the Thunder PowerJet to be user friendly so we placed a knurled adjustment knob right out in the open. Just rotate the knob by hand counter clockwise for increased fuel flow and clockwise for less fuel. 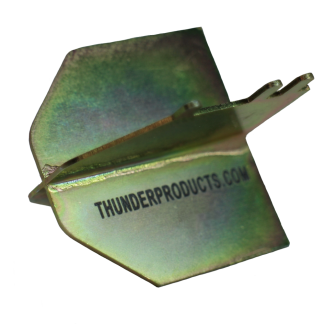 The Thunder PowerJet is nickel plated for corrosion resistance as well as great looks. 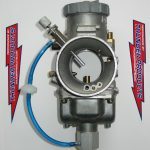 The Thunder PowerJet is truly a simple trouble-free product that makes carburetor adjustment easy. 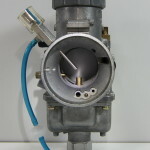 With the Thunder PowerJet installed, the main jet is decreased by 20% to 25%. The remaining fuel is supplied by the Thunder PowerJet. 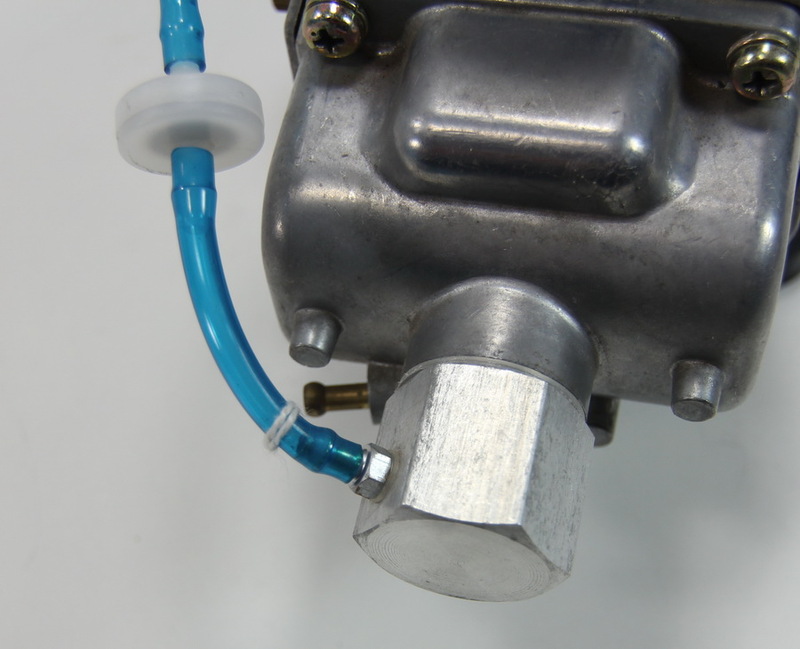 This combination gives you great throttle response due to the smaller main jet’s superior atomization. Throttle response is dramatically increased. Overall power is also increased for several reasons. 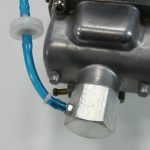 First of all, the Thunder PowerJet can be dialed in so quickly and accurately for any temperature or altitude that you no longer dread rejetting your carbs. It is about a one to two minute job. With the Thunder PowerJet, fuel distribution is enhanced because you are now adding fuel in two locations instead of just one. The last benefit is increased fuel efficiency. This is due to part throttle riding conditions where you are running on the the smaller main jet. The Thunder PowerJet has a huge fuel delivery range from zero fuel to as much as a #500 Mikuni main jet. These adjustments can be made in finite increments as small as a 1/4 jet size at a time. The Thunder PowerJet has enough range to ride from lea level to 15,000 feet as well as any temperature variation. 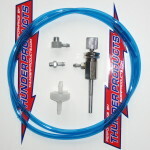 The Thunder PowerJet is ideal for stock engines, mod engines, big bores, nitrous, blower or supercharger applications. 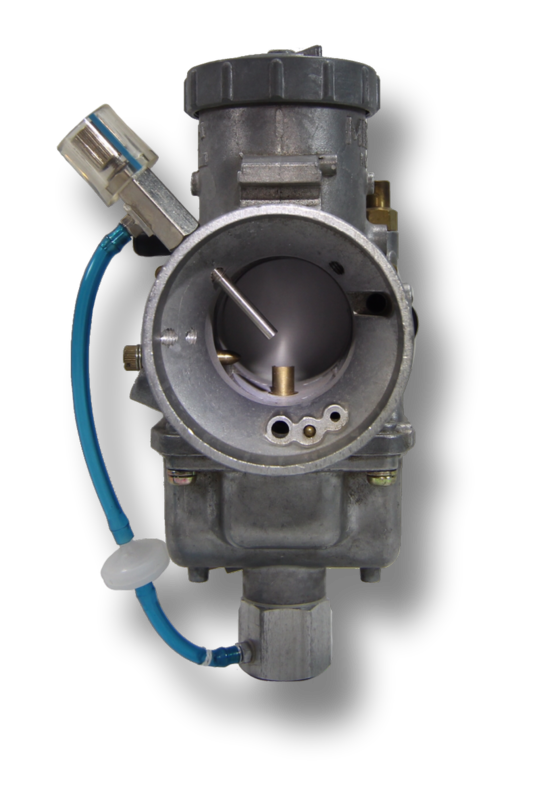 Any fuel or additive may be run through the Thunder PowerJet without damage to the seals. The Thunder PowerJet can be used with pressurized or non pressurized float bowls. It can be used on any brand of carburetor. 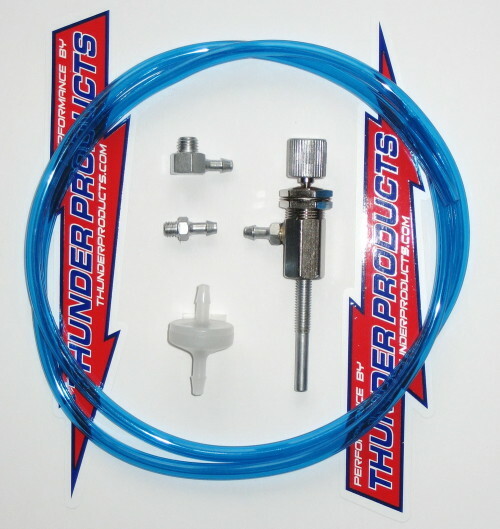 Each Thunder PowerJet kit comes with everything you need for installation including an excellent installation and tuning manual. Technical support and information is available at Thunder Products during all normal business hours. 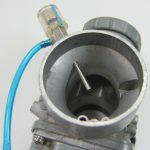 The only option available for the Thunder PowerJet is a Deep Well Float Bowl Nut (we recommend it) which will fit on your carburetor eliminating the need to drill and tap your float bowl. This also places the Thunder PowerJet fuel pickup further from your main jet, eliminating the possibility of fuel cavitation between the two fuel sources. 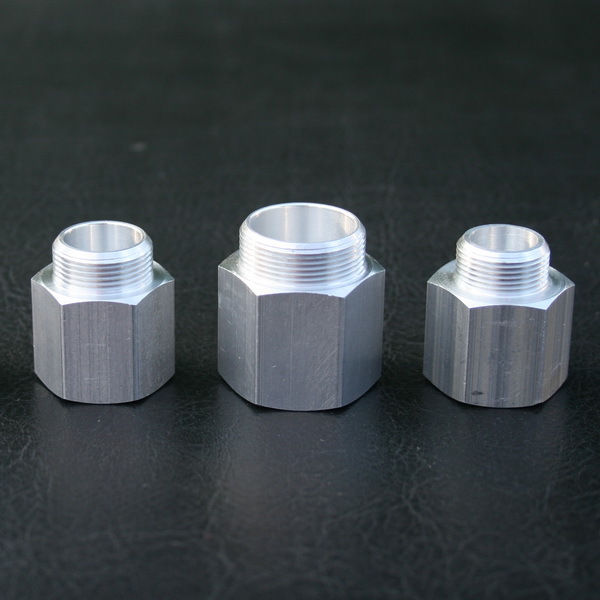 More information at Deep Well Float Bowl Nuts.